Very few of my ideas on this blog are original. I have learned a few things about synthesizing ideas into a practical framework but the root of the ideas come from the Bible and the books I have read. I thought it might be interesting for me to make a recommended reading list. Each one of these books I have received tremendous inspiration from. I have reread many of these books one or two times and return to their ideas in the same way you might return home, for comfort and grounding in what really matters. As a matter of organization (yes, I am a librarian), I have grouped these into categories. *These items are essential reading. 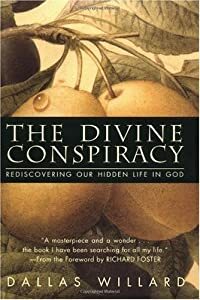 This entry was posted in recommended reading and tagged christian life hacker reading list, reading list, spiritual formation by Scott Jeffries. Bookmark the permalink.